YUSUFALI: Giving good news and admonition: yet most of them turn away, and so they hear not. PICKTHAL: Good tidings and a warning. But most of them turn away so that they hear not. SHAKIR: A herald of good news and a warner, but most of them turn aside so they hear not. YUSUFALI: They say: "Our hearts are under veils, (concealed) from that to which thou dost invite us, and in our ears in a deafness, and between us and thee is a screen: so do thou (what thou wilt); for us, we shall do (what we will!)" PICKTHAL: And they say: Our hearts are protected from that unto which thou (O Muhammad) callest us, and in our ears there is a deafness, and between us and thee there is a veil. Act, then. Lo! we also shall be acting. SHAKIR: And they say: Our hearts are under coverings from that to which you call us, and there is a heaviness in our ears, and a veil hangs between us and you, so work, we too are working. YUSUFALI: Those who practise not regular Charity, and who even deny the Hereafter. PICKTHAL: Who give not the poor-due, and who are disbelievers in the Hereafter. SHAKIR: (To) those who do not give poor-rate and they are unbelievers in the hereafter. YUSUFALI: For those who believe and work deeds of righteousness is a reward that will never fail. PICKTHAL: Lo! as for those who believe and do good works, for them is a reward enduring. SHAKIR: (As for) those who believe and do good, they shall surely have a reward never to be cut off. YUSUFALI: Say: Is it that ye deny Him Who created the earth in two Days? And do ye join equals with Him? He is the Lord of (all) the Worlds. PICKTHAL: Say (O Muhammad, unto the idolaters): Disbelieve ye verily in Him Who created the earth in two Days, and ascribe ye unto Him rivals? He (and none else) is the Lord of the Worlds. SHAKIR: Say: What! do you indeed disbelieve in Him Who created the earth in two periods, and do you set up equals with Him? That is the Lord of the Worlds. YUSUFALI: He set on the (earth), mountains standing firm, high above it, and bestowed blessings on the earth, and measure therein all things to give them nourishment in due proportion, in four Days, in accordance with (the needs of) those who seek (Sustenance). SHAKIR: And He made in it mountains above its surface, and He blessed therein and made therein its foods, in four periods: alike for the seekers. YUSUFALI: Moreover He comprehended in His design the sky, and it had been (as) smoke: He said to it and to the earth: "Come ye together, willingly or unwillingly." They said: "We do come (together), in willing obedience." PICKTHAL: Then turned He to the heaven when it was smoke, and said unto it and unto the earth: Come both of you, willingly or loth. They said: We come, obedient. SHAKIR: Then He directed Himself to the heaven and it is a vapor, so He said to it and to the earth: Come both, willingly or unwillingly. They both said: We come willingly. YUSUFALI: So He completed them as seven firmaments in two Days, and He assigned to each heaven its duty and command. And We adorned the lower heaven with lights, and (provided it) with guard. Such is the Decree of (Him) the Exalted in Might, Full of Knowledge. PICKTHAL: Then He ordained them seven heavens in two Days and inspired in each heaven its mandate; and We decked the nether heaven with lamps, and rendered it inviolable. That is the measuring of the Mighty, the Knower. SHAKIR: So He ordained them seven heavens in two periods, and revealed in every heaven its affair; and We adorned the lower heaven with brilliant stars and (made it) to guard; that is the decree of the Mighty, the Knowing. YUSUFALI: But if they turn away, say thou: "I have warned you of a stunning Punishment (as of thunder and lightning) like that which (overtook) the 'Ad and the Thamud!" SHAKIR: But if they turn aside, then say: I have warned you of a scourge like the scourge of Ad and Samood. YUSUFALI: Behold, the messengers came to them, from before them and behind them, (preaching): "Serve none but Allah." They said, "If our Lord had so pleased, He would certainly have sent down angels (to preach). Now we reject your mission (altogether)." PICKTHAL: When their messengers came unto them from before them and behind them, saying: Worship none but Allah! they said: If our Lord had willed, He surely would have sent down angels (unto us), so lo! we are disbelievers in that wherewith ye have been sent. SHAKIR: When their messengers came to them from before them and from behind them, saying, Serve nothing but Allah, they said: If our Lord had pleased He would certainly have sent down angels, so we are surely unbelievers in that with which you are sent. YUSUFALI: Now the 'Ad behaved arrogantly through the land, against (all) truth and reason, and said: "Who is superior to us in strength?" What! did they not see that Allah, Who created them, was superior to them in strength? But they continued to reject Our Signs! PICKTHAL: As for A'ad, they were arrogant in the land without right, and they said: Who is mightier than us in power? Could they not see that Allah Who created them, He was mightier than them in power? And they denied Our revelations. SHAKIR: Then as to Ad, they were unjustly proud in the land, and they said: Who is mightier in strength than we? Did they not see that Allah Who created them was mightier than they in strength, and they denied Our communications? YUSUFALI: So We sent against them a furious Wind through days of disaster, that We might give them a taste of a Penalty of humiliation in this life; but the Penalty of a Hereafter will be more humiliating still: and they will find no help. PICKTHAL: Therefor We let loose on them a raging wind in evil days, that We might make them taste the torment of disgrace in the life of the world. And verily the doom of the Hereafter will be more shameful, and they will not be helped. SHAKIR: So We sent on them a furious wind in unlucky days, that We may make them taste the chastisement of abasement in this world's life; and certainly the chastisement of the hereafter is much more abasing, and they shall not be helped. YUSUFALI: As to the Thamud, We gave them Guidance, but they preferred blindness (of heart) to Guidance: so the stunning Punishment of humiliation seized them, because of what they had earned. PICKTHAL: And as for Thamud, We gave them guidance, but they preferred blindness to the guidance, so the bolt of the doom of humiliation overtook them because of what they used to earn. SHAKIR: And as to Samood, We showed them the right way, but they chose error above guidance, so there overtook them the scourge of an abasing chastisement for what they earned. YUSUFALI: But We delivered those who believed and practised righteousness. PICKTHAL: And We delivered those who believed and used to keep their duty to Allah. SHAKIR: And We delivered those who believed and guarded (against evil). YUSUFALI: On the Day that the enemies of Allah will be gathered together to the Fire, they will be marched in ranks. SHAKIR: And on the day that the enemies of Allah shall be brought together to the fire, then they shall be formed into groups. YUSUFALI: At length, when they reach the (Fire), their hearing, their sight, and their skins will bear witness against them, as to (all) their deeds. PICKTHAL: Till, when they reach it, their ears and their eyes and their skins testify against them as to what they used to do. SHAKIR: Until when they come to it, their ears and their eyes and their skins shall bear witness against them as to what they did. YUSUFALI: They will say to their skins: "Why bear ye witness against us?" They will say: "Allah hath given us speech,- (He) Who giveth speech to everything: He created you for the first time, and unto Him were ye to return. PICKTHAL: And they say unto their skins: Why testify ye against us? They say: Allah hath given us speech Who giveth speech to all things, and Who created you at the first, and unto Whom ye are returned. SHAKIR: And they shall say to their skins: Why have you borne witness against us? They shall say: Allah Who makes everything speak has made us speak, and He created you at first, and to Him you shall be brought back. YUSUFALI: "Ye did not seek to hide yourselves, lest your hearing, your sight, and your skins should bear witness against you! But ye did think that Allah knew not many of the things that ye used to do! PICKTHAL: Ye did not hide yourselves lest your ears and your eyes and your skins should testify against you, but ye deemed that Allah knew not much of what ye did. SHAKIR: And you did not veil yourselves lest your ears and your eyes and your skins should bear witness against you, but you thought that Allah did not know most of what you did. YUSUFALI: "But this thought of yours which ye did entertain concerning your Lord, hath brought you to destruction, and (now) have ye become of those utterly lost!" PICKTHAL: That, your thought which ye did think about your Lord, hath ruined you; and ye find yourselves (this day) among the lost. SHAKIR: And that was your (evil) thought which you entertained about your Lord that has tumbled you down into perdition, so are you become of the lost ones. YUSUFALI: If, then, they have patience, the Fire will be a home for them! and if they beg to be received into favour, into favour will they not (then) be received. PICKTHAL: And though they are resigned, yet the Fire is still their home; and if they ask for favour, yet they are not of those unto whom favour can be shown. SHAKIR: Then if they will endure, still the fire is their abode, and if they ask for goodwill, then are they not of those who shall be granted goodwill. YUSUFALI: And We have destined for them intimate companions (of like nature), who made alluring to them what was before them and behind them; and the sentence among the previous generations of Jinns and men, who have passed away, is proved against them; for they are utterly lost. PICKTHAL: And We assigned them comrades (in the world), who made their present and their past fairseeming unto them. And the Word concerning nations of the jinn and humankind who passed away before them hath effect for them. Lo! they were ever losers. SHAKIR: And We have appointed for them comrades so they have made fair-seeming to them what is before them and what is behind them, and the word proved true against them-- among the nations of the jinn and the men that have passed away before them-- that they shall surely be losers. YUSUFALI: The Unbelievers say: "Listen not to this Qur'an, but talk at random in the midst of its (reading), that ye may gain the upper hand!" PICKTHAL: Those who disbelieve say: Heed not this Qur'an, and drown the hearing of it; haply ye may conquer. SHAKIR: And those who disbelieve say: Do not listen to this Quran and make noise therein, perhaps you may overcome. YUSUFALI: But We will certainly give the Unbelievers a taste of a severe Penalty, and We will requite them for the worst of their deeds. PICKTHAL: But verily We shall cause those who disbelieve to taste an awful doom, and verily We shall requite them the worst of what they used to do. SHAKIR: Therefore We will most certainly make those who disbelieve taste a severe punishment, and We will most certainly reward them for the evil deeds they used to do. YUSUFALI: Such is the requital of the enemies of Allah,- the Fire: therein will be for them the Eternal Home: a (fit) requital, for that they were wont to reject Our Signs. PICKTHAL: That is the reward of Allah's enemies: the Fire. Therein is their immortal home, payment forasmuch as they denied Our revelations. SHAKIR: That is the reward of the enemies of Allah-- the fire; for them therein shall be the house of long abiding; a reward for their denying Our communications. YUSUFALI: And the Unbelievers will say: "Our Lord! Show us those, among Jinns and men, who misled us: We shall crush them beneath our feet, so that they become the vilest (before all)." PICKTHAL: And those who disbelieve will say: Our Lord! Show us those who beguiled us of the jinn and humankind. We will place them underneath our feet that they may be among the nethermost. SHAKIR: And those who disbelieve will say: Our Lord! show us those who led us astray from among the jinn and the men that we may trample them under our feet so that they may be of the lowest. YUSUFALI: In the case of those who say, "Our Lord is Allah", and, further, stand straight and steadfast, the angels descend on them (from time to time): "Fear ye not!" (they suggest), "Nor grieve! but receive the Glad Tidings of the Garden (of Bliss), the which ye were promised! PICKTHAL: Lo! those who say: Our Lord is Allah, and afterward are upright, the angels descend upon them, saying: Fear not nor grieve, but hear good tidings of the paradise which ye are promised. SHAKIR: (As for) those who say: Our Lord is Allah, then continue in the right way, the angels descend upon them, saying: Fear not, nor be grieved, and receive good news of the garden which you were promised. PICKTHAL: We are your protecting friends in the life of the world and in the Hereafter. There ye will have (all) that your souls desire, and there ye will have (all) for which ye pray. YUSUFALI: "A hospitable gift from one Oft-Forgiving, Most Merciful!" PICKTHAL: A gift of welcome from One Forgiving, Merciful. SHAKIR: A provision from the Forgiving, the Merciful. YUSUFALI: Who is better in speech than one who calls (men) to Allah, works righteousness, and says, "I am of those who bow in Islam"? PICKTHAL: And who is better in speech than him who prayeth unto his Lord and doeth right, and saith: Lo! I am of those who are muslims (surrender unto Him). SHAKIR: And who speaks better than he who calls to Allah while he himself does good, and says: I am surely of those who submit? YUSUFALI: Nor can goodness and Evil be equal. Repel (Evil) with what is better: Then will he between whom and thee was hatred become as it were thy friend and intimate! PICKTHAL: The good deed and the evil deed are not alike. Repel the evil deed with one which is better, then lo! he, between whom and thee there was enmity (will become) as though he was a bosom friend. SHAKIR: And not alike are the good and the evil. Repel (evil) with what is best, when lo! he between whom and you was enmity would be as if he were a warm friend. YUSUFALI: And no one will be granted such goodness except those who exercise patience and self-restraint,- none but persons of the greatest good fortune. PICKTHAL: But none is granted it save those who are steadfast, and none is granted it save the owner of great happiness. SHAKIR: And none are made to receive it but those who are patient, and none are made to receive it but those who have a mighty good fortune. YUSUFALI: And if (at any time) an incitement to discord is made to thee by the Evil One, seek refuge in Allah. He is the One Who hears and knows all things. PICKTHAL: And if a whisper from the devil reach thee (O Muhammad) then seek refuge in Allah. Lo! He is the Hearer, the Knower. SHAKIR: And if an interference of the Shaitan should cause you mischief, seek refuge in Allah; surely He is the Hearing, the Knowing. YUSUFALI: Among His Signs are the Night and the Day, and the Sun and the Moon. Do not prostrate to the sun and the moon, but prostrate to Allah, Who created them, if it is Him ye wish to serve. PICKTHAL: And of His portents are the night and the day and the sun and the moon. Do not prostrate to the sun or the moon; but prostrate to Allah Who created them, if it is in truth Him Whom ye worship. SHAKIR: And among His signs are the night and the day and the sun and the moon; do not prostrate to the sun nor to the moon; and prostrate to Allah Who created them, if Him it is that you serve. YUSUFALI: But is the (Unbelievers) are arrogant, (no matter): for in the presence of thy Lord are those who celebrate His praises by night and by day. And they never flag (nor feel themselves above it). PICKTHAL: But if they are too proud - still those who are with thy Lord glorify Him night and day, and tire not. SHAKIR: But if they are proud, yet those with your Lord glorify Him during the night and the day, and they are not tired. YUSUFALI: And among His Signs in this: thou seest the earth barren and desolate; but when We send down rain to it, it is stirred to life and yields increase. Truly, He Who gives life to the (dead) earth can surely give life to (men) who are dead. For He has power over all things. PICKTHAL: And of His portents (is this): that thou seest the earth lowly, but when We send down water thereon it thrilleth and groweth. Lo! He Who quickeneth it is verily the Quickener of the Dead. Lo! He is Able to do all things. SHAKIR: And among His signs is this, that you see the earth still, but when We send down on it the water, it stirs and swells: most surely He Who gives it life is the Giver of life to the dead; surely He has power over all things. YUSUFALI: Those who pervert the Truth in Our Signs are not hidden from Us. Which is better?- he that is cast into the Fire, or he that comes safe through, on the Day of Judgment? Do what ye will: verily He seeth (clearly) all that ye do. PICKTHAL: Lo! those who distort Our revelations are not hid from Us. Is he who is hurled into the Fire better, or he who cometh secure on the Day of Resurrection? Do what ye will. Lo! He is Seer of what ye do. SHAKIR: Surely they who deviate from the right way concerning Our communications are not hidden from Us. What! is he then who is cast into the fire better, or he who comes safe on the day of resurrection? Do what you like, surely He sees what you do. YUSUFALI: Those who reject the Message when it comes to them (are not hidden from Us). And indeed it is a Book of exalted power. PICKTHAL: Lo! those who disbelieve in the Reminder when it cometh unto them (are guilty), for lo! it is an unassailable Scripture. YUSUFALI: No falsehood can approach it from before or behind it: It is sent down by One Full of Wisdom, Worthy of all Praise. PICKTHAL: Falsehood cannot come at it from before it or from behind it. (It is) a revelation from the Wise, the Owner of Praise. SHAKIR: Falsehood shall not come to it from before it nor from behind it; a revelation from the Wise, the Praised One. YUSUFALI: Nothing is said to thee that was not said to the messengers before thee: that thy lord has at his Command (all) forgiveness as well as a most Grievous Penalty. PICKTHAL: Naught is said unto thee (Muhammad) save what was said unto the messengers before thee. Lo! thy Lord is owner of forgiveness, and owner (also) of dire punishment. SHAKIR: Naught is said to you but what was said indeed to the messengers before you; surely your Lord is the Lord of forgiveness and the Lord of painful retribution. YUSUFALI: Had We sent this as a Qur'an (in the language) other than Arabic, they would have said: "Why are not its verses explained in detail? What! 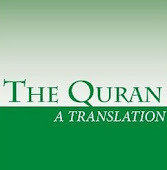 (a Book) not in Arabic and (a Messenger an Arab?" Say: "It is a Guide and a Healing to those who believe; and for those who believe not, there is a deafness in their ears, and it is blindness in their (eyes): They are (as it were) being called from a place far distant!" PICKTHAL: And if We had appointed it a Lecture in a foreign tongue they would assuredly have said: If only its verses were expounded (so that we might understand)? What! A foreign tongue and an Arab? - Say unto them (O Muhammad): For those who believe it is a guidance and a healing; and as for those who disbelieve, there is a deafness in their ears, and it is blindness for them. Such are called to from afar. SHAKIR: And if We had made it a Quran in a foreign tongue, they would certainly have said: Why have not its communications been made clear? What! a foreign (tongue) and an Arabian! Say: It is to those who believe a guidance and a healing; and (as for) those who do not believe, there is a heaviness in their ears and it is obscure to them; these shall be called to from a far-off place. YUSUFALI: We certainly gave Moses the Book aforetime: but disputes arose therein. Had it not been for a Word that went forth before from thy Lord, (their differences) would have been settled between them: but they remained in suspicious disquieting doubt thereon. PICKTHAL: And We verily gave Moses the Scripture, but there hath been dispute concerning it; and but for a Word that had already gone forth from thy Lord, it would ere now have been judged between them; but lo! they are in hopeless doubt concerning it. SHAKIR: And certainly We gave the Book to Musa, but it has been differed about, and had not a word already gone forth from your Lord, judgment would certainly have been given between them; and most surely they are in a disquieting doubt about it. YUSUFALI: Whoever works righteousness benefits his own soul; whoever works evil, it is against his own soul: nor is thy Lord ever unjust (in the least) to His Servants. PICKTHAL: Whoso doeth right it is for his soul, and whoso doeth wrong it is against it. And thy Lord is not at all a tyrant to His slaves. SHAKIR: Whoever does good, it is for his own soul, and whoever does evil, it is against it; and your Lord is not in the least unjust to the servants. YUSUFALI: To Him is referred the Knowledge of the Hour (of Judgment: He knows all): No date-fruit comes out of its sheath, nor does a female conceive (within her womb) nor bring forth the Day that (Allah) will propound to them the (question), "Where are the partners (ye attributed to Me?" They will say, "We do assure thee not one of us can bear witness!" PICKTHAL: Unto Him is referred (all) knowledge of the Hour. And no fruits burst forth from their sheaths, and no female carrieth or bringeth forth but with His knowledge. And on the day when He calleth unto them: Where are now My partners? they will say: We confess unto Thee, not one of us is a witness (for them). SHAKIR: To Him is referred the knowledge of the hour, and there come not forth any of the fruits from their coverings, nor does a female bear, nor does she give birth, but with His knowledge; and on the day when He shall call out to them, Where are (those whom you called) My associates? They shall say: We declare to Thee, none of us is a witness. YUSUFALI: The (deities) they used to invoke aforetime will leave them in the lurch, and they will perceive that they have no way of escape. PICKTHAL: And those to whom they used to cry of old have failed them, and they perceive they have no place of refuge. SHAKIR: And away from them shall go what they called upon before, and they shall know for certain that there is no escape for them. YUSUFALI: Man does not weary of asking for good (things), but if ill touches him, he gives up all hope (and) is lost in despair. PICKTHAL: Man tireth not of praying for good, and if ill toucheth him, then he is disheartened, desperate. SHAKIR: Man is never tired of praying for good, and if evil touch him, then he is despairing, hopeless. YUSUFALI: When we give him a taste of some Mercy from Ourselves, after some adversity has touched him, he is sure to say, "This is due to my (merit): I think not that the Hour (of Judgment) will (ever) be established; but if I am brought back to my Lord, I have (much) good (stored) in His sight!" But We will show the Unbelievers the truth of all that they did, and We shall give them the taste of a severe Penalty. PICKTHAL: And verily, if We cause him to taste mercy after some hurt that hath touched him, he will say: This is my own; and I deem not that the Hour will ever rise, and if I am brought back to my Lord, I surely shall be better off with Him - But We verily shall tell those who disbelieve (all) that they did, and We verily shall make them taste hard punishment. SHAKIR: And if We make him taste mercy from Us after distress that has touched him, he would most certainly say: This is of me, and I do not think the hour will come to pass, and if I am sent back to my Lord, I shall have with Him sure good; but We will most certainly inform those who disbelieved of what they did, and We will most certainly make them taste of hard chastisement. YUSUFALI: When We bestow favours on man, he turns away, and gets himself remote on his side (instead of coming to Us); and when evil seizes him, (he comes) full of prolonged prayer! PICKTHAL: When We show favour unto man, he withdraweth and turneth aside, but when ill toucheth him then he aboundeth in prayer. SHAKIR: And when We show favor to man, he turns aside and withdraws himself; and when evil touches him, he makes lengthy supplications. YUSUFALI: Say: "See ye if the (Revelation) is (really) from Allah, and yet do ye reject it? Who is more astray than one who is in a schism far (from any purpose)?" PICKTHAL: Bethink you: If it is from Allah and ye reject it - Who is further astray than one who is at open feud (with Allah)? SHAKIR: Say: Tell me if it is from Allah; then you disbelieve in it, who is in greater error than he who is in a prolonged opposition? YUSUFALI: Soon will We show them our Signs in the (furthest) regions (of the earth), and in their own souls, until it becomes manifest to them that this is the Truth. Is it not enough that thy Lord doth witness all things? PICKTHAL: We shall show them Our portents on the horizons and within themselves until it will be manifest unto them that it is the Truth. Doth not thy Lord suffice, since He is Witness over all things? SHAKIR: We will soon show them Our signs in the Universe and in their own souls, until it will become quite clear to them that it is the truth. Is it not sufficient as regards your Lord that He is a witness over all things? YUSUFALI: Ah indeed! Are they in doubt concerning the Meeting with their Lord? Ah indeed! It is He that doth encompass all things! PICKTHAL: How! Are they still in doubt about the meeting with their Lord? Lo! Is not He surrounding all things? SHAKIR: Now surely they are in doubt as to the meeting of their Lord; now surely He encompasses all things.